Welcome to Sustainable Cities Club website. Here you will find information on what we have done, what we are doing, and sustainable happenings throughout The New School campus. 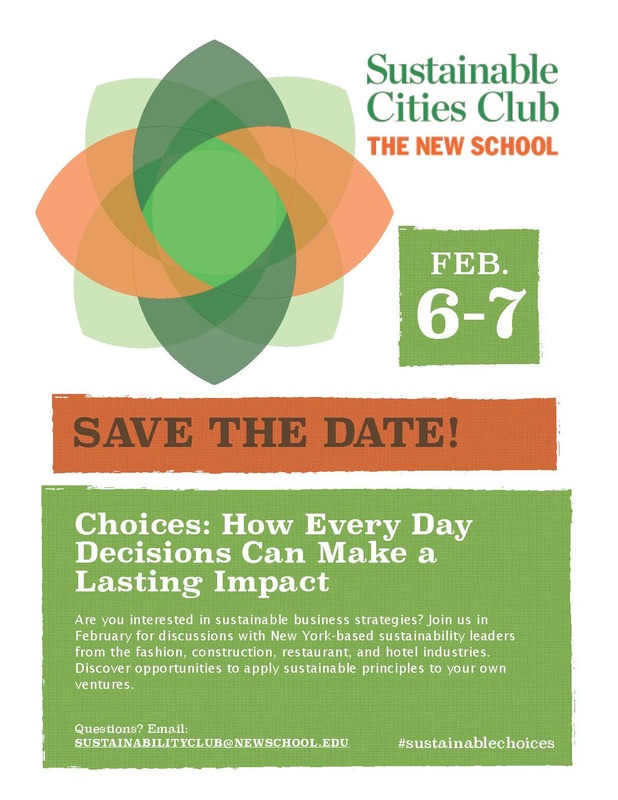 SCC is hosting it’s first sustainability conference here at The New School. It will be free and open to the public. We are inviting local leaders across various sectors such as: food/restaurant industry, construction, tourism/hospitality, and fashion industries, with a strong sustainability mission to speak about the daily decisions and challenges they face in implementing their strategies. 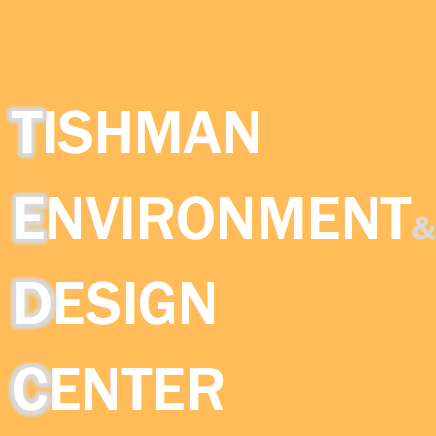 The Tishman Environment and Design Center (TEDC) is a center of creative work and experience that allows students and faculty to explore the curriculum, share and interact on projects, and research and work with the community at large to explore opportunities for collaboration. In the coming weeks, TEDC will be seeking student input on the types of projects and activities the center should be engaged in. Check back here for more information on the upcoming brainstorming meeting!